The Sète Call has already collected some fifty signatures, including researchers from Agropolis members and its partners (CIRAD, CNRS, IDDRI, INRA, IRD, Irstea) but also their partners from Brazil, Spain, Madagascar, Senegal and Morocco. 1/France launched the "4 per 1000" initiative on 1 December 2015 during COP21 as part of the Global Climate Action Plan (GCAA) adopted by the United Nations Framework Convention on Climate Change (UNFCCC) at COP22. The "4 per 1000" initiative contributes to the objective of achieving a neutral world in terms of land degradation. 2/The Executive Secretariat of the 4 for 1000 Initiative, hosted by the CGIAR, is located in the Agropolis International building in Montpellier. 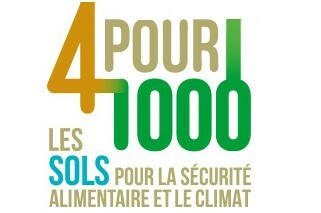 The researchers of the "4 for 1000" Initiative gathered in Sète (Hérault, France) on 7 and 8 November 2018 during the workshop 'French research around the international initiative 4 per 1000: soils for food security and climate' launched a call for an "ambitious scientific programme" for the implementation of the research component of the initiative. This workshop took place on the eve of COP24, which is taking place in Poland from 3 to 14 December.